As Britain’s second largest city, Birmingham is famous for many things – The Bull Ring, Spaghetti Junction, Cadburys chocolate, playing a major part in the Industrial Revolution, Gas Street Basin and its many canals, the historic Jewellery Quarter, Land Rover, the Mini, bands such as UB40, ELO, Slade and Black Sabbath, and a whole host of inventions, such as the steam engine, gas lighting, celluloid, the pneumatic tyre, the spinning jenny, cotton wool and X-ray photography. Birmingham’s industrious history and enterprising spirit are deeply embedded within the soul of its ethnically and culturally diverse population, and there are many features of the city which make it an attractive place to live, work and study. Here are just a few. 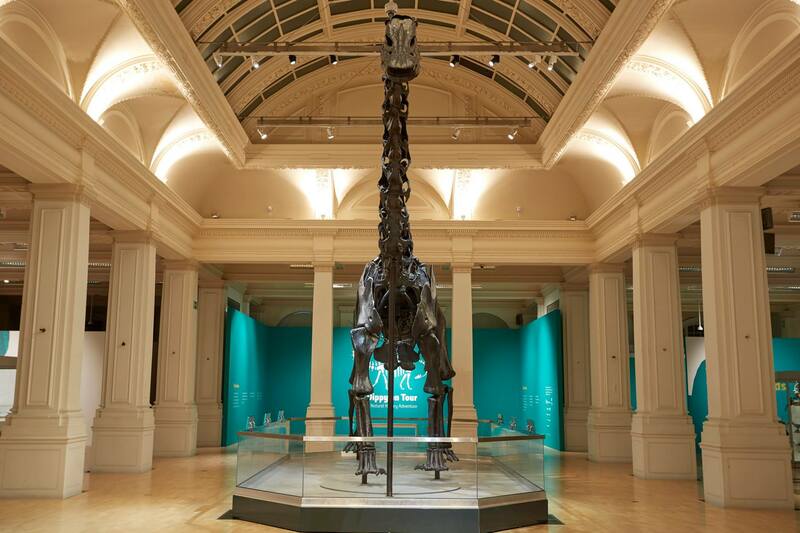 – The Birmingham Museum & Art Gallery opened in the city centre in 1885 and houses more than 40 galleries of art, history and ethnography, as well as archaeological displays which date back to the Stone Age. Art collections include Pre-Raphaelite paintings and sculptures by Rodin and James Tower. – Birmingham Town Hall was built in 1832 and is an extremely impressive example of the finest Victorian architecture. The building resembles a Roman temple with its 40 marble Corinthian columns. Housed inside is Symphony Hall, home to the City of Birmingham Symphony Orchestra. The concert hall is known for its excellent acoustics, and A-List musicians often perform here. Standing to the front of Birmingham Town Hall are memorials to Queen Victoria and inventor James Watt. – Birmingham Cathedral is another beautiful historical building in the heart of the city, famous for its four Pre-Raphaelite windows. Other historic churches worth a visit include St Philips Cathedral – built in 1715 and known for its magnificent Burne-Jones stained glass windows – and St Martins Church which was built during the 13th century. – Birmingham’s Council House was built in 1874 and is renowned for its “Big Brum” clock. – Central Library houses the second largest Shakespeare collection in the world. The collection includes 50,000 volumes in 90 languages. – The award-winning Birmingham Science Museum displays an impressive array of steam-powered machines, a Spitfire Gallery featuring WWII aircraft, a chocolate packaging machine, a human-sized hamster wheel, a planetarium, and much, much more. – The Barber Institute of Fine Arts is situated close to Birmingham University and houses an outstanding collection of art dating all the way back to the Renaissance period. The collection includes masterpieces by Botticelli, Rubens, Rembrandt, Manet, Monet, Gainsborough, and Constable. – The National Sea Life Centre is one of Birmingham’s most-visited tourist attractions, and is home to a huge range of marine species, including reef sharks, giant turtles, seahorses, giant octopi, lobsters, crabs, stingrays, otters and penguins. The aquarium’s gigantic million-litre ocean tank gives visitors an uninterrupted view from an underwater tunnel. – Cadbury World is situated near the village-like suburb of Bournville, built by the Cadbury family in the 1800s to house its growing workforce. Attracting more than half a million visitors each year, tourists learn about the history of chocolate, the manufacturing process, and the Cadbury family story. – The Museum of the Jewellery Quarter gives visitors a fascinating insight into the city’s historic jewellery trade. The Jewellery Quarter is a district of Birmingham that is home to more than 200 jewellers’ and silversmiths’ workshops. – Also situated in the Jewellery Quarter is the Pen Museum. Housed inside the city’s old pen factory, the museum educates visitors about the history of the pen, and gives them the option to make a steel nib using some of the original machinery and techniques from the 19th century. There is also a mock Victorian schoolroom, where visitors can have a go at using traditional quills. – Gas Street Basin is at the heart of the city’s old canal network. Nowadays, the towpaths around the basin are mostly lined with cosmopolitan bars and restaurants, but the waterways are still thriving with boating activity in this area, and those who love traditional narrowboats won’t be disappointed. – Birmingham hosts Europe’s second largest annual St Patrick’s Day Parade, which trails a path from Camp Hill to Digbeth, a district with one of the biggest Irish migrant communities in the UK. With everything from wild and raucous nightclubs to laid back local pubs with long and colourful histories, from haute cuisine dining to fast-food heaven, Birmingham’s nightlife definitely offers something for everyone. – Broad Street houses dozens of lively, bustling bars and clubs targeted at the 18-25 year age bracket. Popular with Hen and Stag parties, Broad Street offers everything from large pubs with dancefloors, live music and large-screen sport, to chic cocktail bars, exotic restaurants and mainstream nightclubs. Most of the clubs are open until at least 2am, and some even stay open until 6am! For those looking for something a little less intense, Brindley Place which runs underneath Broad Street and alongside the canal offers a perfect setting to enjoy alfresco drinks and convivial conversation, especially during the summer months. – The Mailbox is an integral part of the shopping centre of the same name and is located just behind New Street Station in the city centre, just a five minute walk along the canal from Broad Street. Offering a more upmarket experience than many of the venues in Broad Street, their slogan is: “dine and drink in style”. The centre’s target clientele seems to be the 25–35 year age bracket, and city types in suits can often be found enjoying after-work drinks in the many bars and eateries there. The Arcadian is situated in the neon-lit Chinese Quarter of Birmingham, just behind the Bullring shopping centre and markets. A large number of Chinese and Cantonese restaurants sit alongside others offering Japanese and Indian cuisine. Popular with university students, the bars and clubs tend to be smaller, cooler and more chilled-out than those in Broad Street. The music ranges from DJs spinning soulful house, funky beats and cheesy R&B, to raucous live party bands. The bars are laid out in a circular fashion with a small fountain in the centre. A flight of colourful steps lead up to the exit, where more bars and the vibrant LGBT district Gay Village can be found, with its buzzing al fresco coffee shops, drag show cabaret bars, and nightclubs housed in former factories. Nearby, ballet performances and musical theatre can be found at The Hippodrome and stand-up comedy can be found at The Glee Club. – The Star City Centre entertainment complex is in the Erdington district of Birmingham, just a 10 minute drive from the city centre. Aimed primarily at families, young couples, teenagers and groups of students, it boasts a bowling alley, a 25-screen cinema, an indoor mini golf facility, a casino, an arcade, a large bar, and several restaurants. Birmingham’s also has a thriving live music scene. If it’s A-list artists and huge concerts you’re after, Arena Birmingham and NEC Resorts World (Genting) Arena have your back. If slightly lesser-known, touring B and C-List bands float your boat, then head for O2 Academy and The O2 Institute in Digbeth. If indie gigs featuring up and coming bands and intimate open mic nights in smaller venues are more your bag, then there are a plethora of venues offering a huge range of genres. Some of the best include: Hare & Hounds and Kitchen Garden Café in King’s Heath, Dares Bar, The Spotted Dog, Mama Roux’s and The Old Crown – one of Birmingham’s oldest buildings – all in Digbeth, The Actress & Bishop, The Asylum and The Jam House in the Jewellery Quarter, The Castle & Falcon in Moseley Road, The Victoria in the Chinese Quarter, The Sunflower Lounge on Smallbrook Queensway, and Scruff Murphy’s in Dale End. And you will never go hungry in Birmingham either. According to the Office of National Statistics, Birmingham had around 845 restaurants and cafes at the last count in 2017, covering national cuisines from more than 50 countries. Birmingham has built up an excellent reputation for its eateries and the city’s food industry is thriving. From Michelin-starred establishments to world-famous Balti curry houses and a recent boom in street food outlets, Birmingham is home to many centres of culinary excellence. So, whether you’re looking for a short city break, a Saturday night on the town, a quiet pint down your local, or a business lunch venue, Birmingham has you covered. Birmingham is certainly not short of shopping centres, and retail has become one of the city’s biggest industries in more recent times, with many of its major shopping centres being either refurbished or completely rebuilt. From large indoor shopping malls and all the global brands you can think of, to traditional outdoor markets and independent boutiques, Birmingham has everything you could ever want or need in the heart of the city centre. The Bullring and Grand Central is Birmingham’s retail showcase and jewel in the crown, with its famous outdoor and indoor markets, as well as over 160 shops and around 30 eateries. Redeveloped in the early 2000s, the Bullring complex also incorporates Selfridges, which can be found inside one of the most iconic modern buildings in Birmingham. The flagship store is spread over four floors and houses everything from clothing, footwear, beauty products and accessories through to stationery, homeware, technology and food. The Cube offers a vibrant mix of restaurants and bars, a boutique hotel, a late night entertainment complex, and luxury spa and gym. Breath-taking panoramic views of the city can also be appreciated from the Marco Pierre White restaurant on Level 25. The Mailbox is housed at the site of the former Royal Mail sorting office in the city centre, and is just a stone’s throw from the city centre canal network. With its focus on designer clothing, home furnishings and luxury brands such as Harvey Nichols and Emporio Armani, it is one of the three major multi-storey shopping centres in Birmingham. As well as department stores and chain stores, the centre also incorporates commercial offices, exclusive bars and restaurants, and luxury residential apartments. Martineau Place offers a mix of retail and food outlets, incorporating many of the high street’s well-known brands such as Poundland, Boots, Argos, Sainsbury’s, KFC and Burger King. You can also take advantage of a good night’s sleep to alleviate the shopping fatigue at the Staybridge Suites Hotel. The Burlington Arcade just off New Street houses an elegant range of designer clothing and shoes, accessories stores, and award-winning hair salons. Birmingham city centre is also home to more than 100 thriving independent retailers offering a range of tasty eateries, coffee shops, gift shops, jewellery, accessories, clothing, vegan food, craft beer and much more. Many of these can be found at Great Western Arcade, North Western Arcade, Piccadilly Arcade, City Arcade, Bennetts Hill and Ethel Street. If quirky boutiques, handmade art, chic cafes and a vibrant independent music scene appeal to you, then the Custard Factory hub in Digbeth is the place to be. Birmingham has often been referred to as the “workshop of the world” and “city of a thousand trades,” and for good reason. Birmingham’s rich and diverse manufacturing history meant the city was able to lead the way for Britain in technological advancement during the Industrial Revolution. Many of the industries which have taken hold in the city over the centuries continue to adapt and evolve to this day. Some of the historical trades and industries the city has become best known for include: silversmithing, blacksmithing, metalworking, canal building, steam-powered engines, and factory-manufactured products such as chocolate, small arms, watches, toys, pens, cars and motorcycles. Despite the national decline in manufacturing industries during the 1970s and 80s, Birmingham has managed to hold on to a number of these, and remains one of the best performing cities in the UK for manufacturing and engineering. Home to two major car factories – Jaguar in Castle Bromwich and MG Rover in Longbridge – Birmingham is also renowned for its Jewellery Quarter, where a third of the UK’s jewellery is manufactured. Products still produced in the city include: electrical equipment, machine tools, plastics, chemicals, gaskets, glass, china and food. Nowadays, Birmingham has a more diverse range of industries, and operates predominantly in the service industries, retail, hospitality and tourism. The city is also leading the way digitally with the rollout of the UK’s 5G network and ultrafast broadband. Birmingham has the second largest economy in the UK and is home to a number of large employers. Combine this with the city’s convenient geographical location in the Midlands, its well-connected infrastructure, and its great transport links (London will be just 49 minutes away by train when HS2 is completed), and it is no wonder there is an abundance of employment opportunities leading to increased potential for career progression in the workplace. Birmingham is a surprisingly green city with 571 parks covering almost 9,000 acres, more than any other European city. The city is home to some of the best parks and open spaces in the country, challenging the myth that Birmingham is just a concrete jungle. Here are some of the very best parks and open spaces to be found in the city. Winterbourne House and Garden offers fantastic views over Edgbaston, as well as a wonderful Japanese garden behind the Arts & Crafts House. You have to pay to get in, but it is well worth the cost. Birmingham Botanical Gardens is another major tourist attraction, fashioned in the style of a Victorian public park and set within 15 acres of landscaped greenery. Its four huge glasshouses offer experiences of tropical rainforests and arid deserts, and other features include a playground, a Victorian bandstand, a tearoom and garden gift shop – all surrounded by some of the most beautiful gardens in the UK. Moseley Bog is off the Wake Green Road and Yardley Wood Road, and is well known for being an area where JRR Tolkien used to play as a boy, long before he penned The Lord of the Rings. Nowadays, you will find fantastic Tolkien-inspired tree carvings there. More tree carvings can be found in the Shire Country Park between Brook Lane in Kings Heath and Highfield Road close to Yardley Wood Railway Station, as well as at Ley Hill Park near Northfield and The Radleys’ Woodland Play Area in Sheldon. The Parkridge Centre at Brueton Park in Solihull offers a dipping pond, a rustic adventure playground, a nature reserve, and a geological exhibition nearby. The Dragonfly Tearoom can also be found here. Other excellent places to eat in parks include the Boat House Cafe in Handsworth Park; Blackroot Bistro in Sutton Park; the Woodgate Valley Visitor Centre and Café in Bartley Green; and The Windmill Café at Waseley Hills Country Park in Rubery. Eastside City Park, situated between Curzon Street and Millennium Point, was developed in more recent times, and includes 310 trees and 21 water fountains. Costing a whopping £11.7 million, the development won a Royal Institute of British Architects (RIBA) National Award and was also shortlisted against London’s Olympic Park for the prestigious RIBA Stirling Award. Part of Eastside City Park is devoted to The Science Garden, which offers dozens of hands-on activities for children and science lovers of all ages. In 1873, local benefactor Miss Louisa Ryland donated 80 acres of land to the citizens of Birmingham, and this land became the iconic Cannon Hill Park. Complete with mature trees and hedges, tennis courts, lakes, running, walking and cycling trails, a mini amusement park, The Garden Tea Room, and the MAC Birmingham arts centre – where you can do everything from watching a film, drama or comedy show to visiting a gallery or joining an art class – and it’s easy to see how Cannon Hill has become a one-stop destination for the whole family to enjoy. Another good reason to visit Cannon Hill Park is to sample a delicious ice cream from the Verrecchia Ice Cream van, a family business that will is over 80 years old. The famous Edgbaston Cricket Ground and the Birmingham Wildlife Conservation Park are also both nearby. Lickey Hills Country Park offers hills and peaks to rival the Peak District, and you will also find alpine-style log cabins dotted about here. On a clear day, you can see for miles over the city from Beacon Hill, which was donated by the Cadbury family in 1907. The park also has a Visitor Centre and café. Summerfield Park off the Dudley Road in Soho was founded in 1876 and is a tranquil open space with wide, tree-lined paths and a magnificent brick-built bandstand. Millennium Wood in Sheldon was planted with trees in the year 2000, and officially opened in 2001. It was declared a local nature reserve in 2010, and some of the tree species to be found there include silver birch, oak, rowan, goat willow, hawthorn, blackthorn, holly and elder. Blythe Valley Countryside Park near Shirley is a business park which also contains several small pools and meandering walking trails. The River Blythe which runs through the park is designated a Site of Special Scientific Interest (SSSI). Highgate Park’s hillside aspect offers fantastic views over the city centre, but if you want to go even higher up for a panoramic effect, then Oaklands Recreation Ground in Yardley has an accessible view that is unparalleled so close to the city centre. The Jacobean Aston Hall close to the Aston Villa football ground is one of the finest buildings in Birmingham. Surrounding the mansion is Aston Park, which offers open access to the public and is a perfect spot to catch the sunrise. Perhaps surprisingly, Birmingham is also home to a number of lakes. Witton Lakes on Gipsy Lane are a pair of former drinking water reservoirs less than five miles from Birmingham city centre, and there is another former reservoir lake at Brookvale Park in Stockland Green – the park itself is part of the North Birmingham cycle / walk route. There is also a fantastic, breath-taking view across the peaceful lake in Kingfisher Country Park at Shard End. Earlswood Lakes are three man-made lakes – Terry’s Pool, Windmill Pool and Engine Pool – covering a huge area. The lakes took more than 50 years to construct two centuries ago. A pump was installed in 1823 to keep the water flowing from the lakes to the nearby Stratford-upon-Avon Canal which the lakes feed into. The lakes are popular with anglers, and are sometimes used as a venue for fishing matches. Finally, the centre of Birmingham isn’t so green unfortunately, but this may soon change! After thousands of people signed an online petition calling for “a green oasis in the heart of the city,” the city council revealed that they are considering a new city centre park in Birmingham Smithfield. The campaign to create the park is ongoing. With falling unemployment rates above the national average and a wave of regeneration projects, Birmingham is currently undergoing an economic revival after years of decline since the de-industrialisation of the 1970s and 80s. Birmingham was named as the most rapidly improving city in the country in which to live and work in a report published in 2017. PwC’s report took into account a range of factors including transport, work-life balance, inequality, health, and income levels, and found that Birmingham had improved the most in its 2017 Good Growth for Cities index. HSBC’s planned transfer of hundreds of jobs to the city from London, the construction of HS2, the redevelopment of New Street station, playing host to the 2022 Commonwealth Games, and a potential bid for a New York-style central park are just some of the planned developments and activities the people of Birmingham will be able to enjoy and benefit from in the near future. Combine all of this with a rich cultural heritage, growing employment opportunities, excellent shopping facilities, a fantastic array of nightlife, and plenty of green open spaces, and it is easy to see why Birmingham really is a great place to live!